Are TfL Playing A Canny Game On The Gospel Oak To Barking Line? 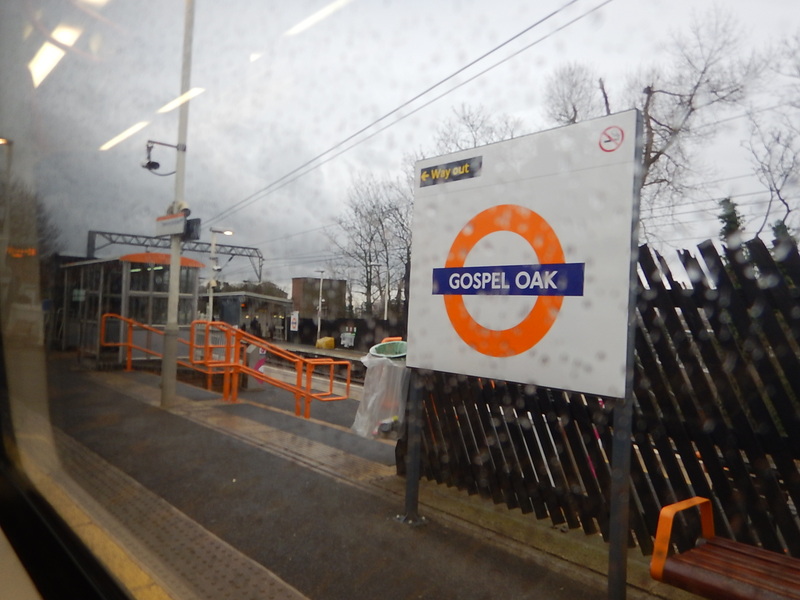 Transport for London (TfL) have now stated that from the 18th March, the service on the Gospel Oak to Barking Line (GOBlin) will be run by three four-car Class 378 trains. This will mean a two train per hour (rph) service instead of the current four tph. Will the Class 378 trains cope? Let’s look at a few facts and my observations. The Class 378 trains may have twice the number of cars than the Class 172 trains, but having used Class 378 trains in the Peak quite a few times in the last ten years, they do have the capacity to swallow large numbers of passengers. TfL will know how many passengers can squeeze uncomfortably into a four-car Class 378 train. I doubt it’s what Bombardier says in the specification. Over the last few weeks, I have ridden regularly on the GOBlin and it appears to me, that passenger numbers are increasing. I have been on a couple of Class 378 trains in the Off Peak, with most of the seats taken. I’ve also seen a packed Eastbound-platform at Blackhorse Road station on a couiple of times. I also was one of perhaps thirty passengers, who transferred at Barking from a c2c train from Grays. It looks to me, that Londoners are ducking-and-diving, as only they can! 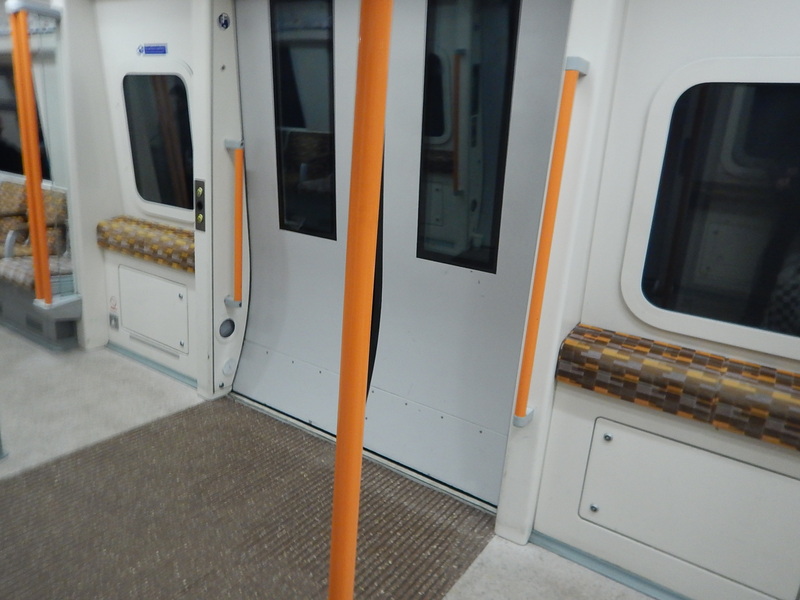 I also have spoken to a couple of passengers, who were using the OBlin for the first time. Has all the publicity persusaded some travellers to give the route a try? 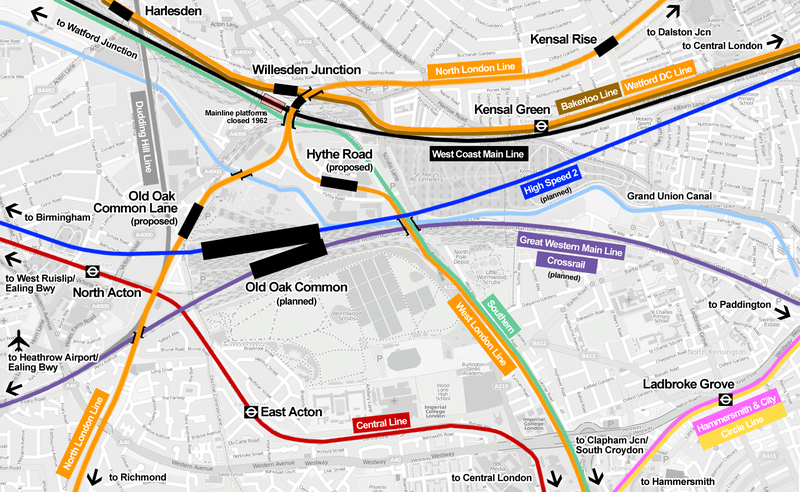 Blackhorse Road station is now a partly step-free interchange interchange between the GOBlin and Victoria Lines. Judging by the numbers of passengers, who seem to be changing trains at the station, this is becoming an increasingly important part of passengers journeys. If you travel on the line from one end to the other, I have noticed that a lot of passengers use the line for just a stop or two. I would expect few use it regularly for the whole length on a daily basis. On a fine day, if you are going one stop, do some passengers walk, if they just miss a train? My son has lived in the Walthamstow area for perhaps twenty years and he seems to use another route, when say he preferred one of the Victoria Line is not working. Which is rare. I visit him regularly and use different routes according to my mood. The one problem he has in Walthamstow is getting to Stratford and you can understand why the local MP; Stella Creasy is pushing for the reinstatement of the Hall Farm Curve. The GOBlin has the following connections. 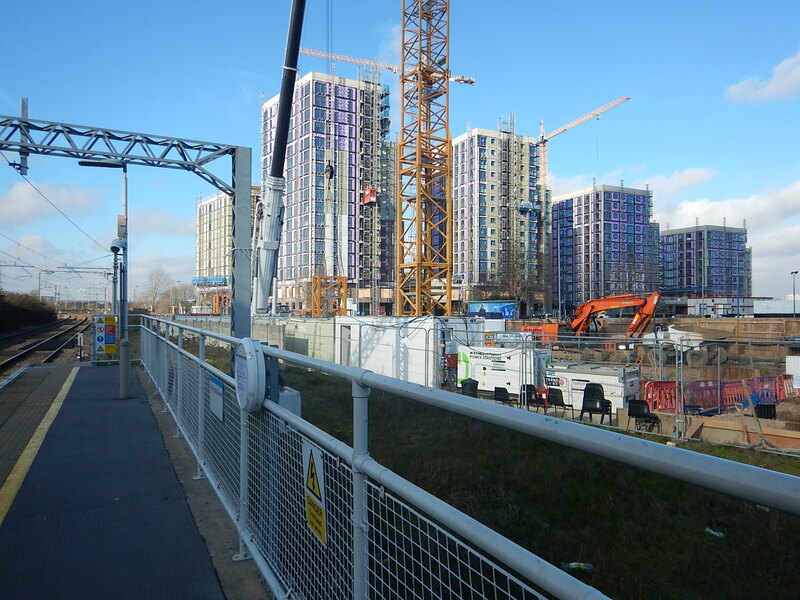 Woodgrange Park – Out of station interchange with Manor Park on Crossrail. Wansted Park – Out of station interchange with Forest Gate on Crossrail. Leytonstone High Road – Out of station interchange with Leytonstone on the Central Line. Walthamstow Queens Road – Out of station interchange with Walthamstow Central on the Overground and Victoria Line. South Tottenham – Out of station interchange with Seven Sisters on National Rail and the Victoria Line. Harringay Green Lanes – Out of station interchange with Harringay on National Rail. Upper Holloway – Out of station interchange with Archway on the Northern Line. Several stations are also on high-frequency North-South bus routes. It should also be noted that in the last couple of months, Manor Park and Forest Gate stations have been dramatically improved for Crossrail. Over the last couple of years of electrification work, there have been times, when the line has been closed. People have moaned, but most seem to have got round the closure, by using alternative routes. It hasn’t been ideal, but lots of passengers are still using the line and haven’t given up rail travel. TfL’s statement has been released two weeks before the 18th March. Will this have the effect to get passengers to consider their routes? I certainly wouldn’t be surprised to see passenger numbers fall back a bit, because of TfL’s timely, honest statement. How would a service run by three Class 378 trains perform? With a train every thirty minutes, I wouldn’t be surprised to see the trains keeping very much to time, as generally they do on the GOBlin now. This will make it easier for passengers to time their journeys to catch a train. Passengers will adjust their routes and behaviour, so they find the easiest route. As I said earlier there are lots of interchanges and also some less obvious ones for the stronger walkers. The half-hourly frequency could cause problems, but most stations have reasonably wide platforms and often have cafes or coffee kiosks nearby. This will of course happen, but when you see how many passengers can cram themselves into the five-car Class 378 trains on the North London Line, I suspect their smaller four-car sisters will cope. 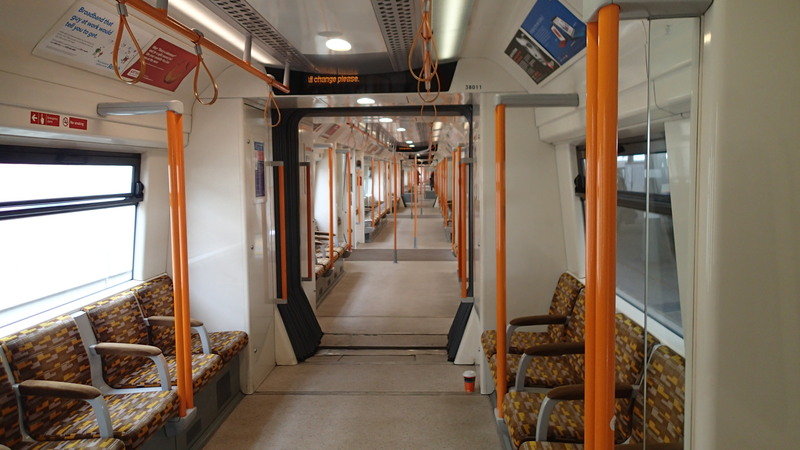 The Class 378 train has a London Underground interior and is unlike any other surface train in the UK. They will cope with the increased numbers. What Else Will TfL Do? I think that the most important thing, is that the GOBLIN and the other lines in the area keep working at their optimum capacity. A failure on the Victoria Line would really louse things up. There will be more buses as well. I would expect, that TfL have a date, where they can be pretty certain, that they will have the first Class 710 train will be available for service. This figure may be a month or it could even be six, but as someone who has delivered very complex software systems, I know how difficult it can be be. Depending on this date they will need to adopt a different philosophy. If it is just a few weeks, then perhaps a grin and bare it strategy will work, especially if the new trains are seen on the line. But it would only work, if they can get the drivers trained and I do hope that TfL are training drivers on the Class 710 trains that are running up and down. Increasing the fleet, a train at a time would gradually improve the service. But if it is going to be several months, there would be no alternative than to bring in some other trains. On the other hand, passengers will adjust their routes and behaviour, which will help.